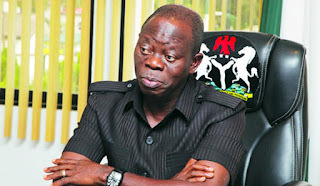 The National Chairman of the All Progressives Congress, APC, Comrade Adams Oshiomhole on Wednesday said the anti-party activities of Governors Ibikunle Amosun and Rochas Okorocha cannot stop the APC from winning the governorship and other elections in Ogun and Imo State next year. 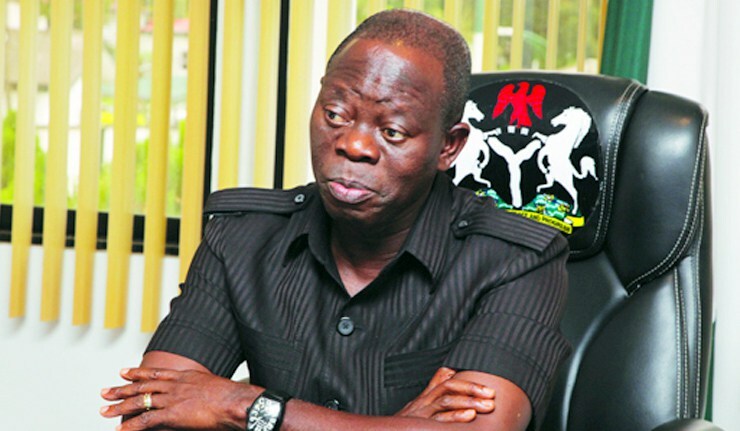 Oshiomhole lashed out at the two governors, saying they were poor students of their own history who had forgotten they lost elections before winning on the platform of the APC. Oshiomhole spoke after receiving the APC women leaders from Edo State and Abuja, who paid him a solidarity visit in his office in Aso Drive, Abuja. Okorocha, Amosun and Governor Abdul-Aziz Yari of Zamfara State are at loggerheads with the national chairman for not recognising their preferred governorship candidates. The preferred candidates in Imo and Ogun and some aides of the governors had since defected to other political parties to pursue their ambitions. “Whether you are a big or small man, the rules are not supposed to discriminate. Our popularity in Imo and Ogun today is much higher. It is not that once you are a governor you have high electoral value. Punch reports that the former Nigeria Labour Congress President said Nigeria needed to go back to the era where institutions were respected and protected and not powerful individuals. He added that the actions of the two governors would not affect the fortunes of the party in the elections. “In Imo state today, APC will win more votes. My focus is on ordinary Imo voters because on that day, the governor would have only one vote, his son-in-law would have only one vote while his Commissioner for Happiness would have only one vote. “But artisans, traders, teachers and workers whose salaries are not being paid have the same weight of vote and they are excited about the renewed possibility of a new government coming with fresh ideas free of all the encumbrances of the present system. So in Imo I’m very confident. “If they were looking for true reconciliation, they wouldn’t have done what they did (defection of aides). That is not how democracy works. Nigeria must grow beyond this syndrome ‘I’m the governor, I will decide.’ You have only one vote. With due respect, I was once a governor. Overall APC is much stronger now. Stating that the party would review if any of its rules had been breached, Oshiomhole added that the real sanction was with the electorate. He, however, said the efforts of the Peace and Reconciliation Committee were already yielding fruits in some places while those with negotiable grievances were being sorted out.